On topic: Please sir, can I have some more? Manners where have you gone! Please sir, can I have some more? Manners where have you gone! In fear of sounding like a 1950’s housewife, where are people’s manners these days? Table manners have gone out the window. “maybe” is now an acceptable RSVP to a dinner invitation, being at least 30 minutes late is the norm and people smoke in enclosed spaced despite the fact most people don’t smoke while complaining about the use of the “C” word. Lets start with lateness because it is my pet hate. People’s houses are not like a restaurant, where food is cooked to order after you arrive. When someone is cooking for you, timers are used as food goes hard and dry if it is overcooked. The host also would like to enjoy the company of their friends so they tend to prepare and have the meal cooking so it is ready not long after you arrive. Excusing your lateness by saying “that’s just me” is not good enough. Lateness is not an incurable condition like torrets. It is just bad time management. Now on to “maybe”. What to do with a maybe…Once upon a time an RSVP use to be a “yes” or a “no”. A yes or a no allows the inviter to book the right table size and cater for the right number of people…For those of you who say maybe, what is the problem with committing? Is it that you are waiting to see if you get a better offer, have genuine commitment issues or are you just inconsiderate? And table manners, oh I lament the loss of table manners. Eating or talking with your mouth open, spitting onto your plate, licking your knife, and scaping the bowl. 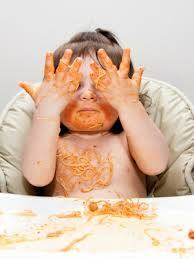 If your mothers did not teach you that those things were bad manners when eating in public, then they were remiss. The joke “do you like see food” was only funny when you were 7. Table manners are there so our dinning experience is not disturbed by watching you masticate your food in cave man style. One of the newer art of manners is around smoking. In case you were not aware your smoke drifts though the air up other peoples nostrils and into their lungs. For those of us who do not smoke, we are ok with you smoking as long as it does not impede on our right to clean air (clean “ish” air if you live in the city). If you have manners, and there are plenty of smokers who do, you will remove yourself from the situation or blow smoke away from people or sit down wind. So to the girl who was at the Entertainment Quarter on Saturday night smoking in the stair well while complaining about someone using the “C” word in conversation, your manners are hardly faultless. To sum up, manners have not gone past their used by date. They still have a purpose in the modern age. So people please bring back manners. It shows that you are both aware of the people around you and considerate.